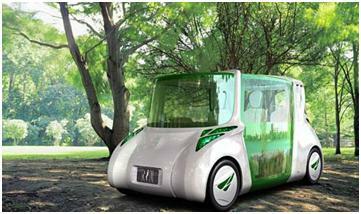 Green transportation or sustainable transport refers to any form of transport which is following the rules of Going Green. It also includes the non-motorized transport like green vehicles, CarSharing, transit oriented development, walking and urban transport system like fuel efficient, healthy lifestyles and space savings. Green transport or sustainable transportation system make a positive contribution to the environmental, economic, social and communities sustainability to be served bythem. 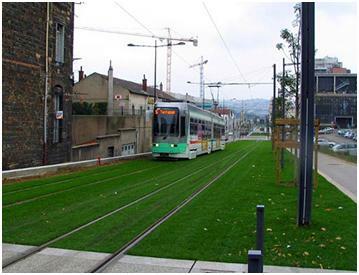 Existence of transport systems which provide social,economic connection and people get the facility of fast transport system will be included in green transport system.Transport systems have significant impacts on the environment and advantages of green mobility need to measure against the environmental, social and economic benefits provided to human beings and our environment. Going “green” is not just good for the environment division,– it’s good for business. Now more than ever, consumers and employees favor and seek out environmentally friendly companies and products. What’s more, businesses are discovering that green generates significant cost savings on day-to-day operations. One simple way businesses can go green is to encourage employees to use public transportation and shared rides to get to and from work.Such efforts not only help the environment, but also enhance company recruitment and retention. In a recent survey conducted by the Society for Human Resource Management, 59 percent of human resource professionals indicated promotion of public transit, walking, and biking to work as a top “green practice,” and 49 percent of employees supported such activities. Overall, the survey’s findings demonstrate that encouraging alternative transportation such as carpools,providing pre-tax benefits to workers who commute using alternatives to single-occupancy vehicles, and allowing employees to telecommute all improve worker retention. In fact, 62 percent of employees indicated they were more likely to stay with their current organization because of its support of environmental sustainability. Humana, Inc. headquartered in Louisville, Kentucky, schedules and helps recruit and retain qualified workers through the support of ridesharing. By offsetting parking costs to publicize their pay for transit passes, the company allows employees to ride public transit by simply showing their employee ID. (See Profiles of Employer-Sponsored public Transportation Programs.) In California, the Walt Disney Company designated support “green teams” for all segments of company on operations, including transportation. The International Transport Format the OECD is an intergovernmental organization with 52 member countries.It acts as a strategic think tank with the objective of helping shape the transport policy agenda on a global level and ensuring that it contributes to economic growth,environmental protection,social inclusion and the preservation of human life and well-being. The International Transport Forum organizes an annual summit of Ministers along with leading representatives from industry, civil society and academia. The International Transport Forum was created under a Declaration issued by the Council of Ministers of the ECMT (European Conference of Ministers of Transport) at its Ministerial Session in May 2006 under the legal authority of the Protocol of the ECMT,signed in Brussels on 17 October 1953,and legal instruments of the OECD.Green growth is a useful paradigm that re‐packages several existing concepts, including durable economic activity, reduced environmental impact and sustained growth in highquality jobs, under one banner and in such a way as to frame coherent, cross‐sectoral policies. But focusing on green growth as such does not obviate the need for governments to assess policies carefully according to their long‐term economic, environmental and social impacts. There are tradeoffs between the various dimensions of green growth. Reducing emissions, for example, comes at a cost to road users and to taxpayers1 and as green growth policies spread it may be necessary to review the way the transport sector is taxed and contributes to aggregate tax revenue (Van Dender and Crist 2010). • What do consumers take into account in deciding what vehicle to buy? • What drives manufacturers’ decisions on the range of vehicles to offer? • To what extent does the interaction of supply and demand lead to unsatisfactory fuel economy in relation to climate change objectives? The value car buyers assign to fuel economy has important implications for policies to reduce CO2 emissions and oil consumption. If consumers undervalue fuel economy over the life of a vehicle, the market will provide too little fuel economy and will underinvest in research and development of energy efficient technologies. At the same time, policies that influence the market via purchase price such as feebates or regulatory policies such as fuel economy standards will have greater leverage on fuel economy than fuel prices. There is considerable agreement that carbon prices should be introduced that is consistent with policy targets. There is considerable disagreement on what to do when tax policies rule out such prices, and also on what extra measures to take when fuel taxes match or exceed the shadow price of emissions. Options are discussed in detail in the report Stimulating Low-Carbon Vehicle Technologies. The auto industry needs a regulatory environment that provides certainty for the large capital investments necessary to maximise the fuel economy of new cars; even more so for shifting to new primary energy sources. Standards can provide this certainty and the longer the planning horizon the better. Binding standards for the short term can be complemented by indicative targets for the longer term; the EU standard of 130 gCO /km by 2012 for new cars is accompanied by a 95 gCO /km target For 2020 which already serves as a reference for complementary measures including vehicle taxes differentiated according to specific CO2 emissions. Standards may outperform fuel taxes in stimulating innovation because they are more closely tied to supply, where innovative effort is concentrated.